Back in 2005 a movie starring Lord of the Rings Viggo Mortensen was released called A History of Violence. The synopsis sounded like a Stephen King movie so it sounded like an excellent movie and it honestly didn’t disappoint. If you haven’t seen it yet, see if you can track it down I’m sure you will love it. If your local comic book shop doesn’t have a copy Amazon will have a few. 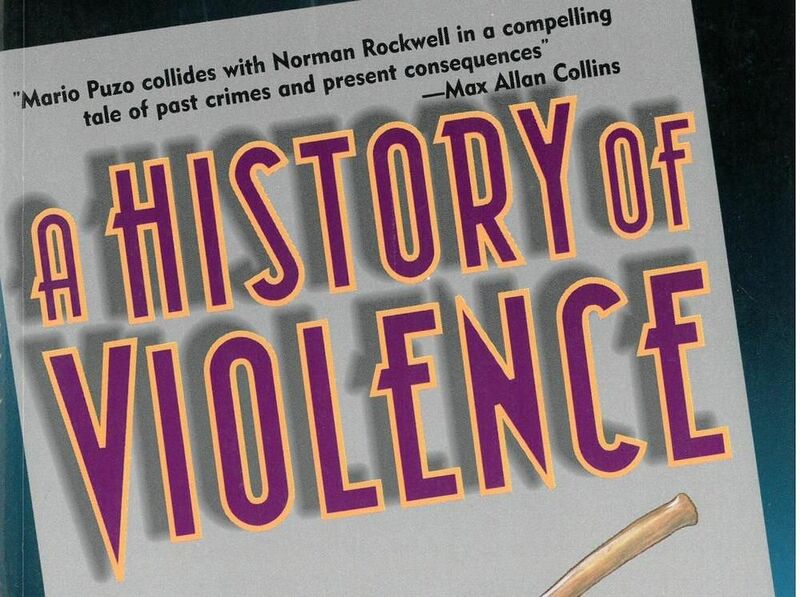 Now I love my DC and Marvel superheroes but every now and again I like to have a break and read something a bit different, A History of Violence is just want I needed. The story revolves around a guy who lives in a small American town with his family and runs a diner. He has a pretty simple life until two men try starting trouble in his diner, he kills one and leaves one begging for his life. The press dive in and make him a local hero, that’s when some ghosts from his past see his picture in a newspaper and it drags up his whole hidden and as the title says very violent past. I don’t want to go into too much detail about the story from there but if you have seen the movie, don’t worry about it being the same, both the book and movie revolve around a similar story but half way through or so they take very different directions. The artwork in the book is by Vince Locke who has made a career drawing his own style working on mainly indie comics such as Deadworld and has illustrated various album covers for a lot of big bands. He’s done an amazing job of illustrating a History of Violence and it’s a beautiful book. The format is smaller than a normal comic and black and white which leaves all the detail and pencil strokes on each page. Some of the artwork just really pops right out from things like his skylines and action scenes are just amazing to follow. You can tell he’s worked very close to John to keep the artwork and dialogue so tight. Being published as a single 286 page graphic novel it flows really well, it’s not a story that’s had to cater for being sliced up into single issues worrying where one ends and one starts. It really is a pleasure to read. I’m not sure why this book is so hard to find, it should be in every comic shop up there with Watchmen and The Dark Knight Returns.